The Ball Room concept is an attempt to add colour to learning and make the children acquaint themselves with various shapes existing in the universe. A Ball Room is full of balls of different colours and sizes. Children play together with these balls fostering togetherness among them. They develop a habit of sharing ,that will make them players in future. Dining Room is another important section besides classrooms and other concepts ,where children learn to develop the habit of sharing. The Dining Room concept also intends to develop better food habits among the children ,since most children are melined towards junk food today.Dining Room also helps to develop table manners and good eating habits among the young ones. Through Little Gym Saint Anne's School tends to spread the concept of health consciousness among the children and generate awareness right in their childhood about the problem of obesity due to lack of regular physical activities. Today's healthy children will be identity and pride of tomorrow's India. Fuel the imagination of children in Doll Room is not meant for just toys. Our Doll Room comprises of Bedroom, Drawing Room, Kitchen, Dressing Room etc. It has been found that boys are more inclined towards Drawing Room and Bedroom where as girls show interest in Kitchen and Dressing table concept. These concept rooms, children can be prepared for a bigger role in life which will be interesting by infusing creative and constructive thoughts of Doll Room in their subconscious mind. Doll Room concept is a rather creative and novel way of infusing constrictive thoughts in the minds of children. Fun is an integral part of a child's life. DJ Room is intended to spread fun and frolic amongst children to keep them free from physical and mental fatigue, children will storm the floor and dance to the tunes of the pulsating music. The excitement and happiness will help in busting stress. We formulated the concept of DJ Room with stage and mike, to make children bold with stage exposure and have better communication skills. For all parents, it would be a proud thing when their children converse with confidence, perform courageously and have no stage fear. Young children sit silently and learning various crafts . The crafts room is a favorite place for children where they learn various types of art and craft. Children enjoy paper cutting, pasting, filling, doll making etc., which give them a creative emancipation. The teacher will teach various craft and fuel their creativtiy and fulfill their artistic urge. Saint Anne's School is trying to project the feelings, thoughts and perceptions of young kids through its Audio-Visual Room where a huge screen will show stories, news, rhymes, cartoon films, educational programmes and show the world through visual medium. Children will have an opportunity to glimpse through the lives of various immortal characters from historical era as well as the present day. The human subjective mind comprehends and retains an idea easily when presented through visual expressions. The moral of stories presented on screen can successfully be instilled in the subconscious of these children, which will remain imprinted lifelong. There is a well equipped library with an extensive range of reference books, newspapers, magazines, periodicals, educational CDs, computer workstation, printer and photocopier. There is a computer aided reference system, which enables students to rapidly locate books of their choice. These laboratories are well equipped with internet and multimedia provisions. There is one each for the Primary, Junior and Senior Section. Particular emphasis is laid on music, dance and theater. Indian classical & folk dance, western music & dance, instrumental music and singing are offered to students to develop their skills and musical appreciation. Each child takes part in at least one activity at the annual cultural event to develop their confidence on stage. A well equipped abacus lab will be a boon to our student. It will help in their concept comprehension and enhancement of logical thinking and vedic mathematical. Student from grade I to VIII Build different types of models of machines with 21st Century teaching methodology. They will use advanced kits and various tools to enchance their motor skills and create as well as excute their innovative ideas. Students will work in group to learn team work and new concept based on machines. 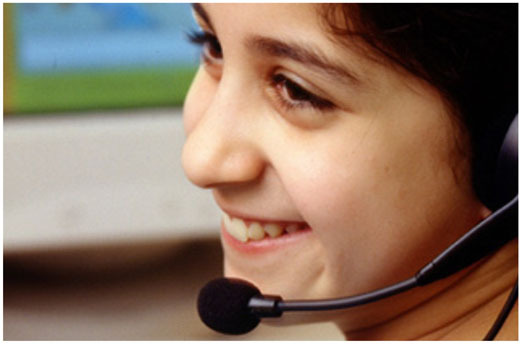 Language is essential for communicating, expressing ideas, opinions and view, the Language lab is designed to encourage children to excel their oral ability by providing speaking and listening exercises with audio and video aids. Through this lab we aim to develop the underpinning qualities and skills that help to promote positive behavior and effective learning. It focuses on social and emotional aspects of learning self awareness, managing feeling, motivation empathy, social skills and etiquettes. * For better view of website open in Google Chrome, Mozilla Firefox and Opera.